At the end of each day of searching, when I close my eyes, I see frogs. I see frogs hovering on rocks in a jail of aquatic grasses. I see frogs in shades of grays, browns, and blacks, decorated with spots until each is unique. I see frogs kicking off to escape my looming shadow, their pleated skin billowing like the waves I still feel rocking me. And I wonder about the dozens of frogs doing what they do best – patiently sitting on the floor of Lago Titicaca acting like rocks and watching, unnoticed, as I snorkel by. A giant water frog tries to escape in the cold waters of Lago Titicaca. When I left the United States almost five months ago, I knew there were two things I wanted to do when I traveled: ride bikes and look for frogs. I contacted the Bolivian Amphibian Initiative and was invited to volunteer on several of their ongoing projects. One of these projects was monitoring the giant water frog of Lake Titicaca. The giant water frog, found only in Lago Titicaca, is a litany of extremes and rarities. These extremes are a function of necessity. For frogs, a lake at 12,500ft, means high levels of UV radiation, cold waters, and oxygen poor air (for biologists it means wearing lots of sunscreen and still getting burnt, painfully cold fieldwork, and the complete lack of desire and/or ability to run). The only way around these limiting factors is to be extreme. To cope with the cold, we wear 'awesome' Jedi outfits and cook hot lunches on the beach. The giant water frog is one of the largest completely aquatic frogs in the world. 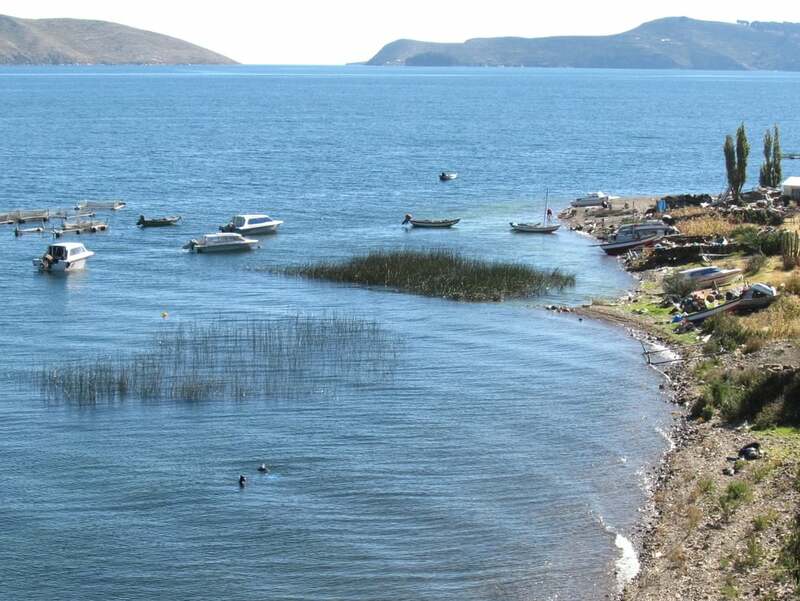 It never leaves the cold, oxygen poor waters of Lago Titicaca. With only small lungs, the frog gets the majority of its oxygen through its skin. The frog’s skin is like gaudy pleats in a shirt a few sizes too big. Aside from the fashion statement, these skin flaps and folds have evolved to increase surface area for oxygen absorption. Not only that, to beat the odds the giant water frog has the highest red blood cell count and the lowest metabolic rate of any other species of frog. The field work required to study this species is extreme too, the lake is huge, deep, remote, and cold. Several studies have tried to work around some of the extremes, scuba diving to explore more than the shallows of the shores, but the reality is that the resources don’t exist to monitor the largest lake in South America by scuba diving. 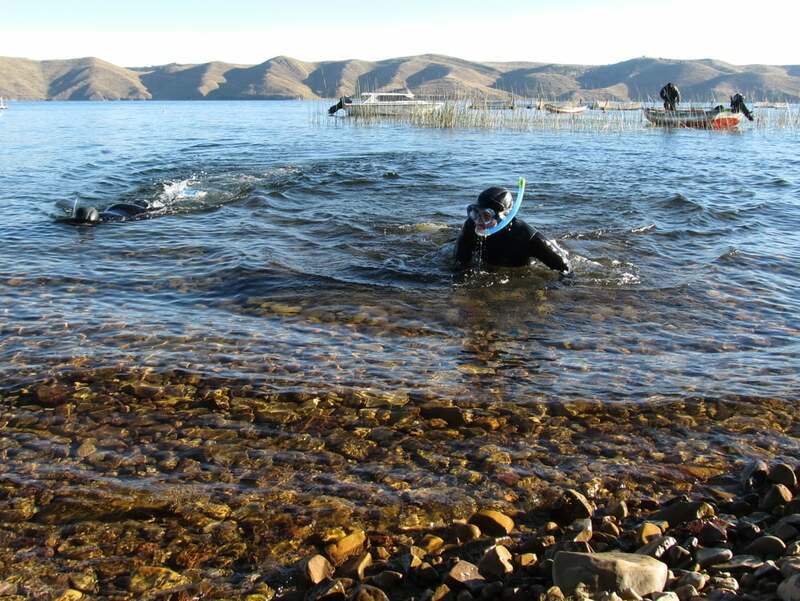 Thus the Bolivian Amphibian Initiative opted to use snorkeling to count and monitor the critically endangered species. 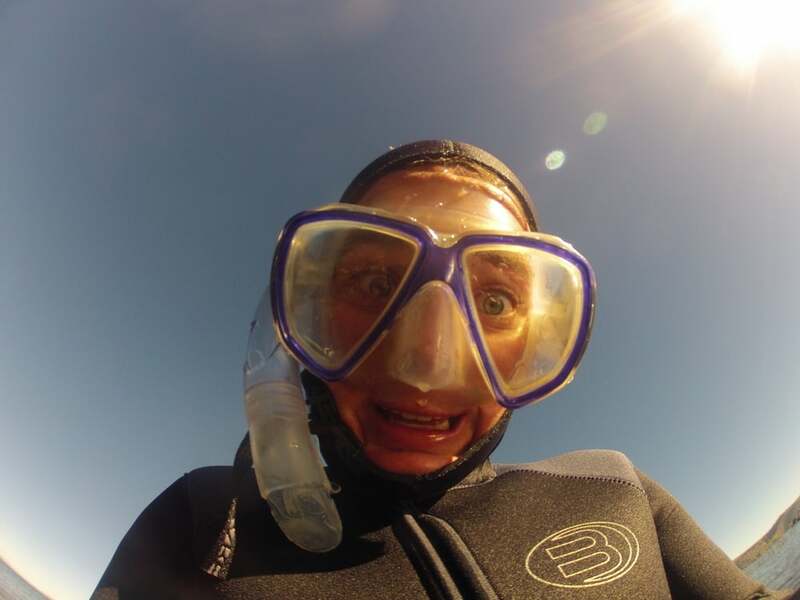 Snorkeling is a cheaper, more accessible way to monitor the frogs, or at least the frogs near the shallow shore line. But let me tell you, cheaper and accessible doesn’t mean easy. Thus, a week before we start our bike tour, Nia and I hunker into wetsuits and adorn ourselves in field gear. 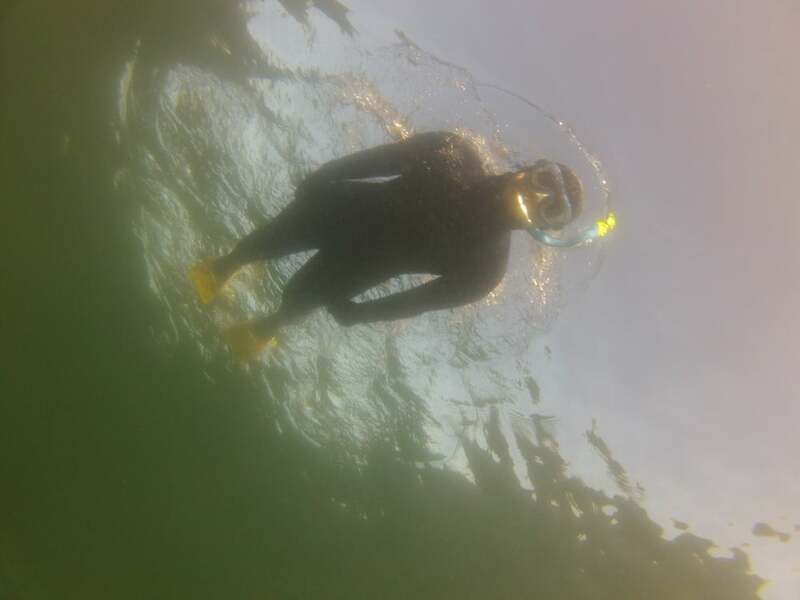 We enter the water, curse as the cold soaks though the wetsuit, and begin a painfully slow swim looking for frogs. Since we are looking for frogs, swimming hard enough to warm up is too fast. Instead we bob in the waves, glancing at the shore to insure we are headed in the right direction. Truly we are rubber duckies in a giant, cold bathtub. Let me emphasize the cold if I may. The cold is a like a bad song stuck in your head, and no matter what you can’t forget it. Every time we finish a section and can leave the water, an intense urgency sets in. It is not until we are sitting in the Andean sun, in a few too many layers, lathered in Vaseline that the desperation settles. Vaseline? Yeah, the cold water dries out our skin, and Nia summed it up best when she shook her head and said that she never thought she’d see the day where she would need to use THIS much Vaseline. But all that being said, I like the work. We get to visit a world where frogs have adapted enough to call this cold their home. We look for frogs at different depths, close to the shore, where it is shallow enough that we can scan the lake’s floor. As I swim, I inspect the rocks and vegetation, searching for frogs disguised as rocks. Once spotted, I dive down, wishing for more oxygen, and catch the frog in a plastic bag. We catch the frogs in plastic bags to avoid spreading the deadly fungus, Chytrid, which in the last 10 years has been one of the leading factors to blame for the world wide amphibian declines. 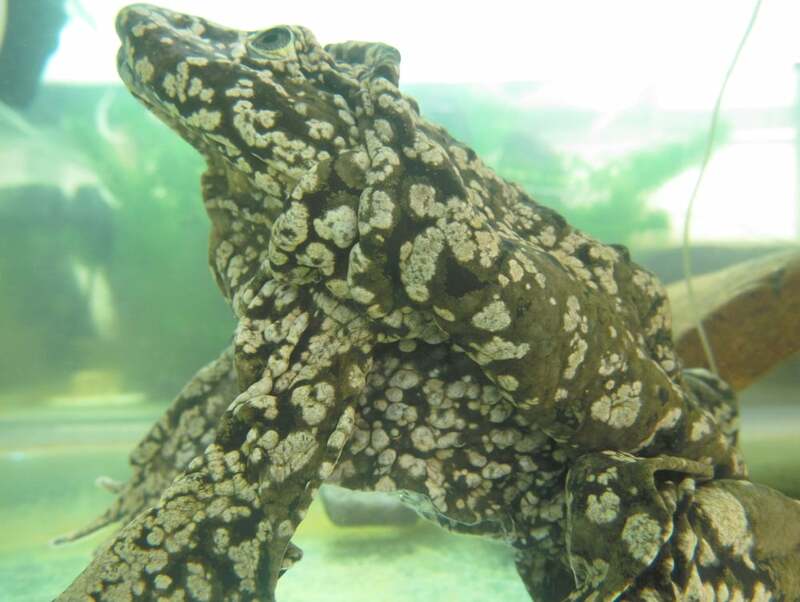 It is still unclear the effects of Chytrid on the giant water frogs. 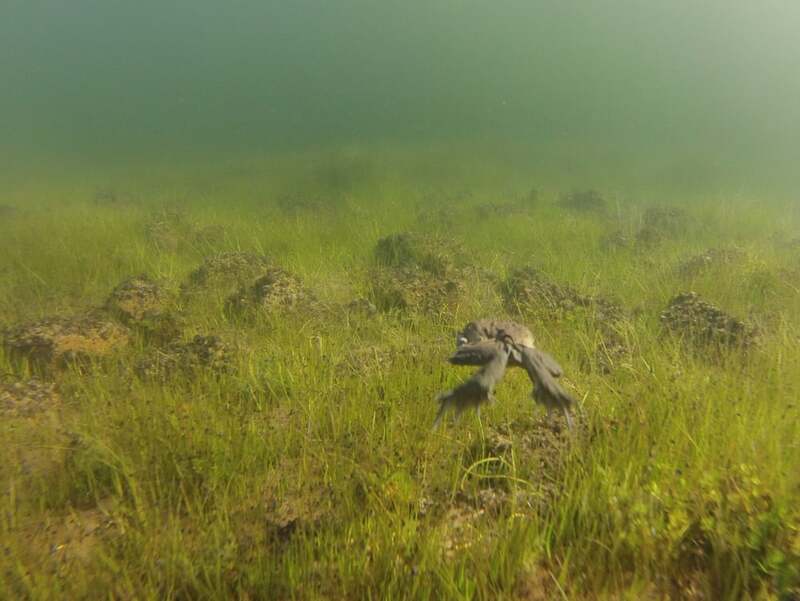 What is clear - from studies and talking to the people that live on the lake’s edge - is that these frogs are declining. These unique frogs are found only in Lago Titicaca, and thus the declining population could mean the disappearance of these frogs from the lake and thus the disappearance of these frogs from the world. Chytrid is just one of a barrage of threats to amphibians like the water frog. These frogs must also contend with rising water temperatures from climate change, increased pollution, introduced trout, and an escalating market for frogs. There is an enormous, illegal frog trade, with thousands of frogs being harvest for pennies to color (or should I say colour?) tourists menus. And the demand for the frog seems to be growing. People living near the lake have recently begun to drink raw frog juice, pureed in a blender, believing it will make their children smarter. But even with these threats, we are not too late. We still can find frogs, and we can find community members willing to help us out and become part of our team. Unlike field work in the United States, where wilderness is much of the time a buffer to towns, the work we do in Lago Titicaca is alongside communities; on their beaches, in their harbors and boats and homes. For this we must be more sensitive to their livelihoods and find solutions that are less obvious. On this last trip we stayed with Don Francisco and his family on Isla de la Luna. We hired him to take us to places accessible only by boat. During this time we talked to him about the frogs and the declines. It is a delicate balance, of education and understanding. I am an outsider, and I can’t judge, even when it seems impossible not to. Andrea, my housemate and one of Bolivian Amphibian Initiatives key leaders, handles the frogs and much of the talking on this latest trip to Lago Titicaca. She is a great spokesperson for the frogs. She can melt into a situation and be heard because she listens. When the man told us he feeds his pigs live frogs, feeds his kids frog juice, and boils frogs to bring the winter rains, she remained calm. Talking to this man, showing him a different side of the lake, and making him proud of these frogs, is the only way to change his behavior. It is the only chance these frogs have. Andrea never says don’t kill the frogs, and thus the man listens and lets the frogs into his heart a little more. These things take time. When she is not speaking for the frogs, Andrea, is measuring them, counting parasites on them, taking photos, and marking GPS points for our transects (imaginary lines we swim looking for frogs). Nia and I swim along these transects. When we find and catch frogs we give them to Andrea. Andrea works from a boat much of the time, another reason this field work is extreme. When I spot a frog, I mark my point with a high-tech 'rock in a bag' system, and dive down to catch the frog. This was my first field job, where I worked from a boat. It adds a layer of complexity, but it is fun and exciting. When the waves are churning, measuring a frog or taking a picture can become an almost impossible affair. We don’t just work on boats, but use boats much of the time to get to our field sites. Field work around Lago Titicaca almost always involves a spread of transportation options. There is no easy way anywhere. For every site we combined public transportation, taxis, commuter boats, and rented private boats to get to and do our field work. One needs to be creative and ready to accept just about any ride when working in Lago Titicaca. When we ride in boats from one shore to another, we pass upon the great depth of the lake. 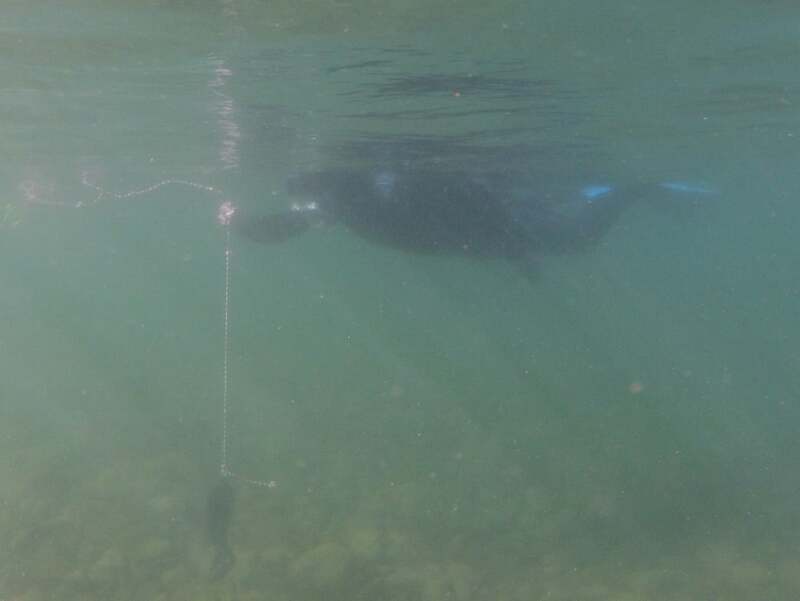 I am surveying to depths of 5m in a lake reaches that reaches depths of 281m. We only touch the surface of a world that is so close to us but so unexplored. More people have walked on the moon, than swam in the deepest depths of the lake or seen the secrets that lay on the hidden floor. But the frogs know, and I hope we don’t ruin it all before we can even know what it is we are destroying. Sometimes even a transect at 5m is a mystery. And it is for this reason that I can stand the cold waters, the nauseating boat rides, and the hundreds of bug bites. This work is helping to understand the water frog, for a chance to stop its decline. This work is helping educate local communities about the uniqueness of the frog. This work is providing jobs that help the frog rather than kill them. And sometimes when I am swimming, plowing through thick vegetation or absentmindedly whimpering from the cold, I’ll remember where I am and what I am doing and the randomness of it all will make it worth it. 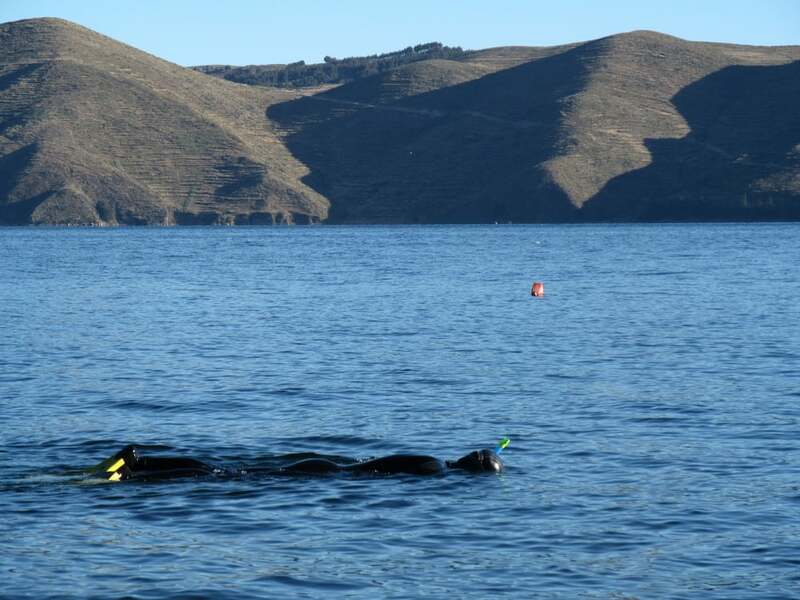 I mean, I am snorkeling in Lago Titicaca, catching endangered, weird (albeit beautiful) frogs, stuttering in Spanish, and seeing a world far, far, far away from my own.